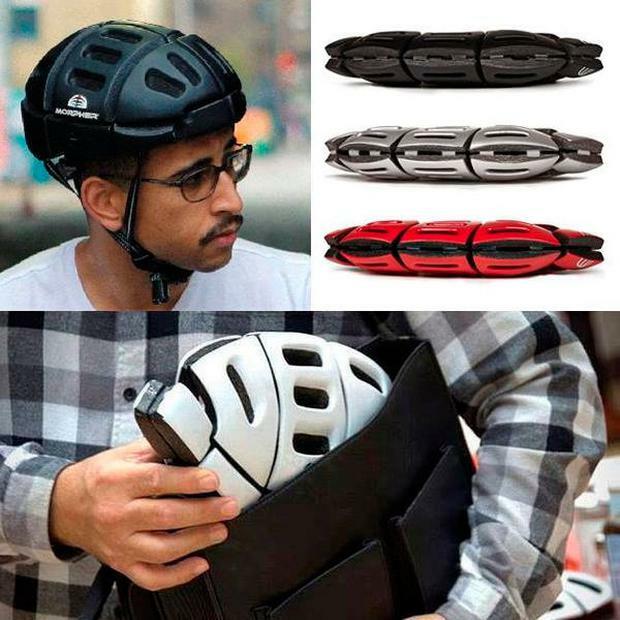 The best idea I saw during the last year - for those of us who use a mix of transport to get to work and play - was the Morpher Collapsible Cycle Helmet, below, from The Fowndry which claims to be the world's first lightweight collapsible cycle helmet, making it ideal for stashing in a rucksack, briefcase or bag. Manufactured by one of the world's leading helmet makers, Morpher is just as safe as a traditional rigid helmet but folds flat for convenience making it perfect for those commuting by bike. It will be especially useful for those of us who use the Dublin Bike scheme or those in Cork and Galway. We have a Dublin Bike station exactly outside our office on Dublin's Talbot Street and I know colleagues who keep a spare helmet in their locker, but you are then faced with carrying a rather ungainly helmet when you get to your destination. As you will see from the pictures, the Morpher is so much neater. I hope it really does well. I like people who invent products that both encourage safety and practicality. And while I am handing out bouquets, I must say that the Dacia Duster was the most improved car of the year. Previous models could be faulted for their build quality and safety concerns, but the latest model is comfortable, good value and practical. It offers a chance to get into a SUV/Crossover at a bargain price.